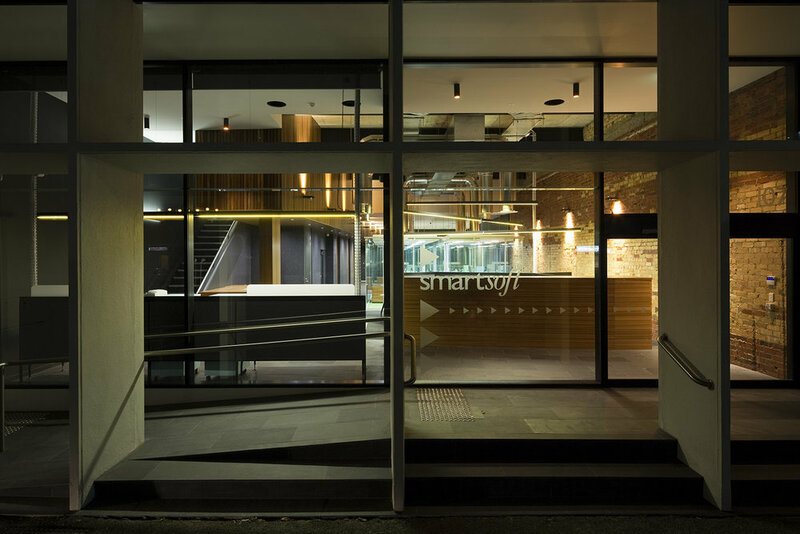 Major refurbishment of a dilapidated mid century bank building in the CBD for a developing software company, Smartsoft. 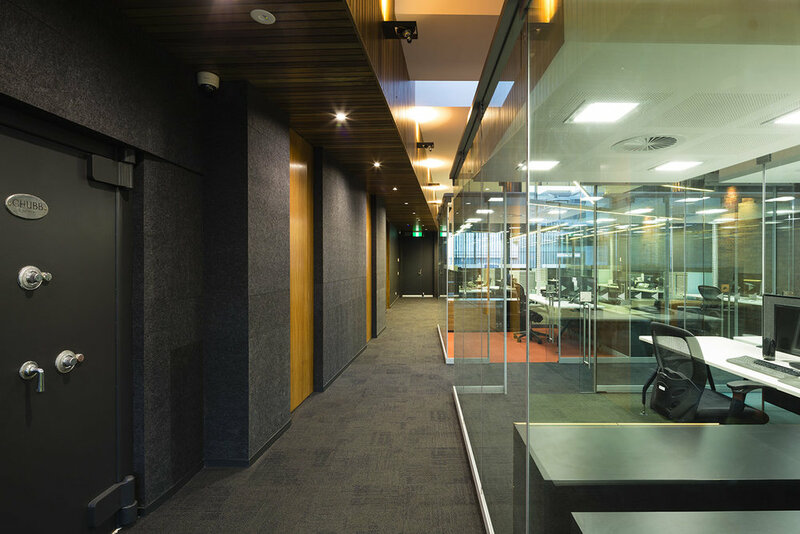 The client sought a modern workplace to project their professionalism and anticipated new city image, having relocated from a suburban office. 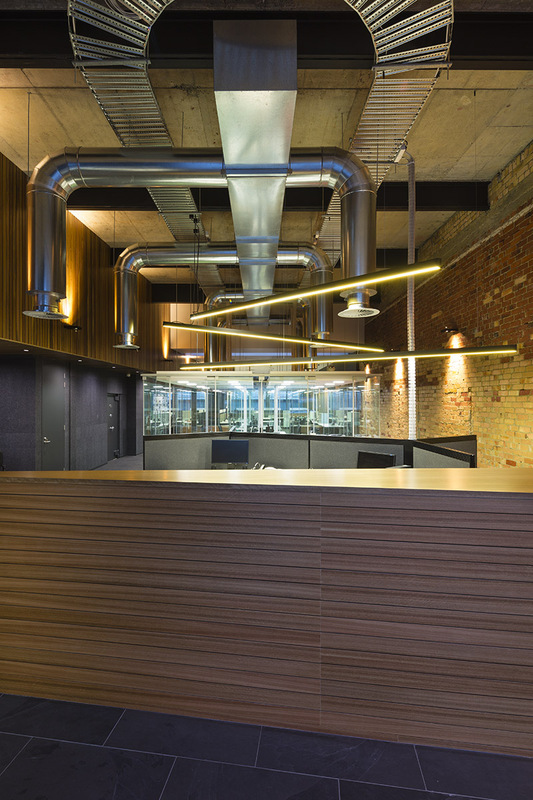 A cool, industrial interior was achieved by stripping back layers of the previous fitout to reveal much of the building’s structure. 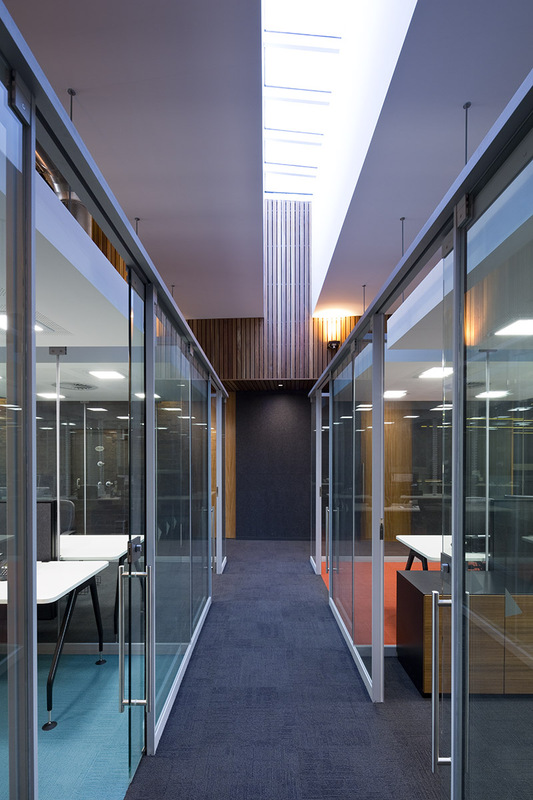 Central glass ‘pod’ offices define the open layout while maximising natural light and views within the long, narrow site. 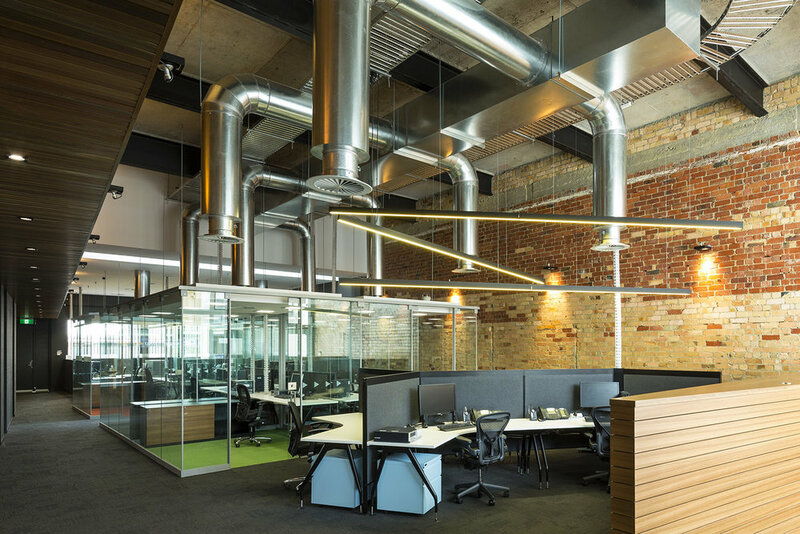 The pods establish a distinct relationship between the original building and its contemporary insertions, their lightness contrasted by imposing exposed mechanical services, which bring life to the offices through power and ventilation. 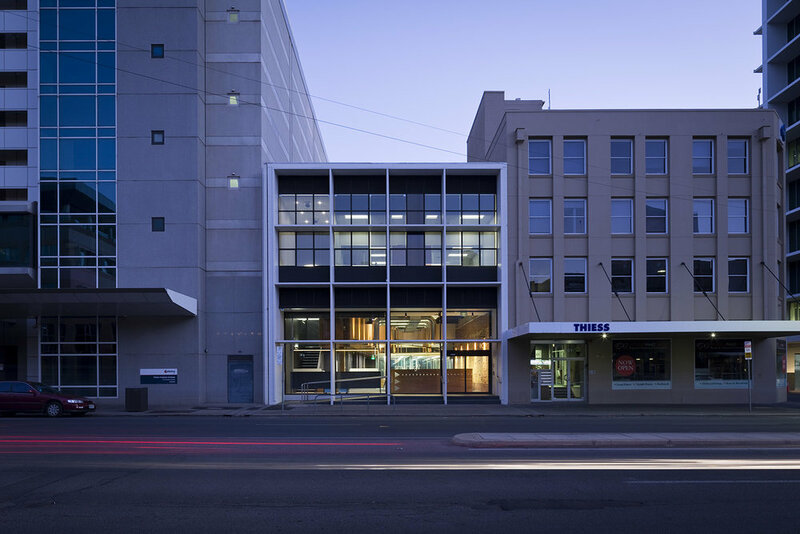 Gestures to the building’s history were made throughout, including restoration of the front façade, creating striking geometric shadows during the day and framing the glowing interior at night.